Rebecca Sonia (Pasko) Horan age 66 of Elizabeth passed away after a courageous battle with Leukemia on Thursday January 31,2019, surrounded by her loving family. Becky was born on April 30,1952 the daughter of John and Julia(Sewak) Pasko. Becky was a graduate from Charleroi Highschool and graduated from California University in 1972 . After graduation she became a teacher in the Ringgold School district where she touched many young lives. She was very involved in the teachers union. She was a Sunday school teacher for 25 years at St. Nicholas Orthodox Church in Donora, where she attended her entire life. Becky is survived by her loving husband Michael Horan to whom she was married for 47 years as of January 29th. Beloved mother of Michael Horan and his wife Cindy, and Erika Barrett and husband David. Cherished grandmother of Logan Horan-Jester , Andrew, Connor and Julia Horan, and JD Barrett. Sister of Tamara Chacko, and Janine Shepler and her husband Bill. 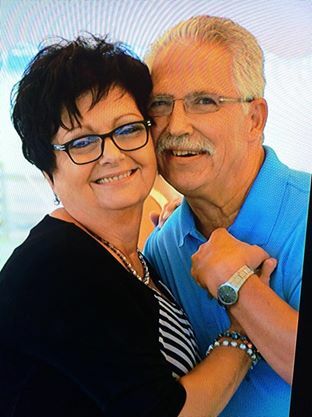 Sister in law to Bill Horan and his wife Lori and Cindy Short and her husband Rege (who passed away on January 28,2019). Aunt to Jennifer Moores and husband Brian, Billy Petyak and wife Jodi, Amanda Petry and husband Kent, Matt Short and wife Joy, Dan Short and Fiancee’ Estefania, Katie Sims and husband Matt. Friends will be received in the Anthony L. Massafra Funeral Home 40 Second St Extension Donora, PA 15033 (724) 379-6900 on Friday February 8,2019 from 4 to 8 PM and on Saturday February 9,2019 from 9:00 AM to 9:15 AM at which time prayers of transfer will be held. A Liturgy at St Nicholas Orthodox Church will folllow. Interment will follow in Mon Valley Memorial Park. Arrangements are under the supervision of the Thomas M. Dolfi Funeral Home. The family is grateful for the excellent care at Jefferson Hospital during her illness of 7 months. To send flowers to the family of Rebecca S. Horan, please visit our Heartfelt Sympathies Store. Location of Anthony L. Massafra Funeral Home and Cremation Service, Inc. Provide comfort for the family of Rebecca S. Horan by sending flowers. So sorry to hear of Becky's passing she was a wonderful person have not seen her for many years but we went to school together and we're in Girl Scouts together for many years. You have my deepest sympathy. I am so sad to hear of Becky’s passing. What a lovely lady that was a big part of my childhood days, as our moms were best friends. My sincere sympathies to Mike and her family and to Tammy and Janine. I always loved the sound of Becky’s laughter. You are all in my thoughts and prayers. My sincerest condolences to the Horan family. Mrs. Horan was always so kind to my family and me. She was so supportive of Mike and Erika in school and sports and very involved in her church. My thoughts and prayers are with you. Mrs Horan was my 6th grade social studies teacher last year. My best memory of her was when we would prepare for our Friday’s test on Thursday, we would play the buzzer game. She allowed us to get a little crazy and have fun to answer questions and win bragging rights. I will miss her a lot and remember her as one of my best teachers ever. In loving memory of our friend Becky Horan. Provide comfort for the family of Rebecca Horan with a meaningful gesture of sympathy.